As part of their current topic, Playlist, the Year 3 and 4 had a brilliant, musical morning on Friday with a visit from Lee Harvey, a musician and actor who currently tours with the Queen tribute band, Mercury. 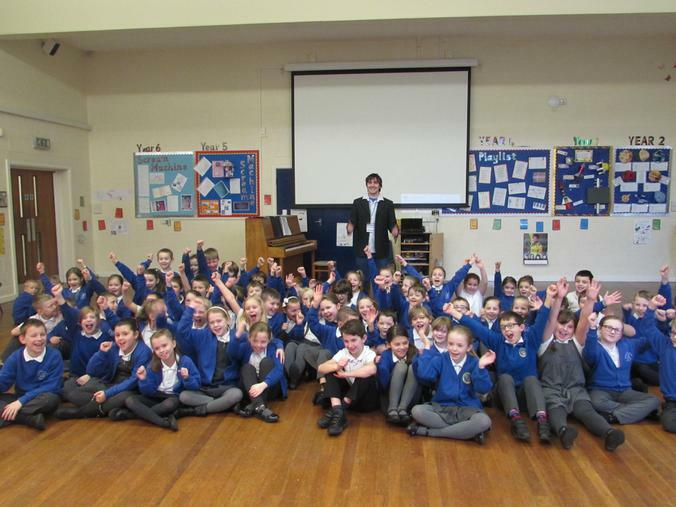 He spoke to the children about his life, learning and playing various instruments, and his time acting and singing in Jesus Christ Superstar and Les Miserables. He played songs on the piano and sang, which wowed the children!